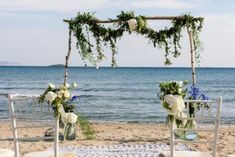 “Wedding in Greece” team received a call for “Santorini wedding” planning by Oliver and Ruby for their Lebanese wedding. Santorini island is one of the top wedding destinations in the world, having the reputation of the most romantic and idyllic location to hold your wedding ceremony. 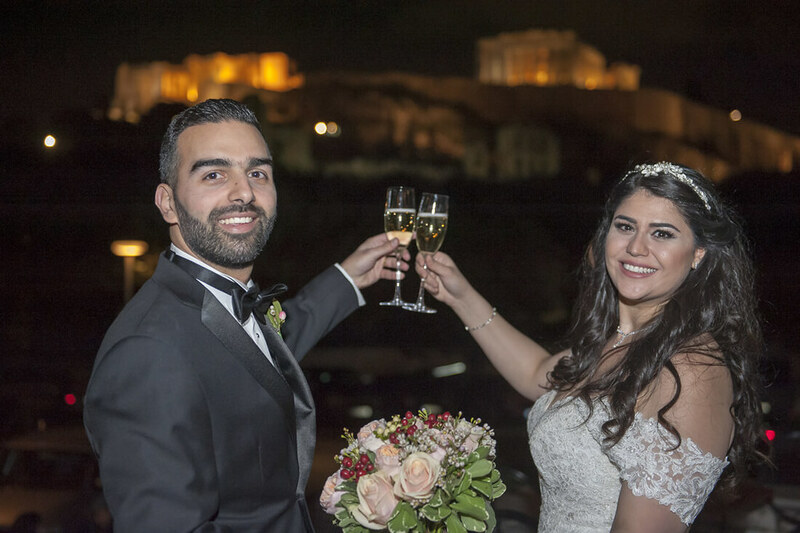 This lovely couple from Lebanon decided to get married in a most popular and loved wedding destination in Greece, Santorini. Oliver and Ruby had set a high wedding standard by choosing the outstanding island of Santorini. 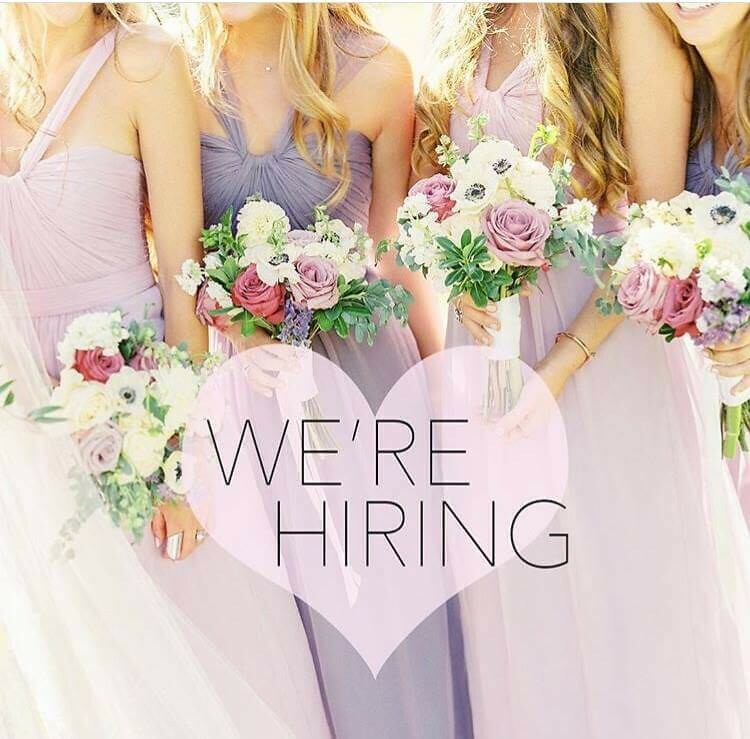 Our team, though, has been created to fulfill only ambitious standards. 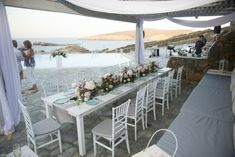 A wedding in Santorini is worth of all the work and preparation. The bride and the groom to be, found the ideal destination, the one which would make their wedding, an unforgettable experience. 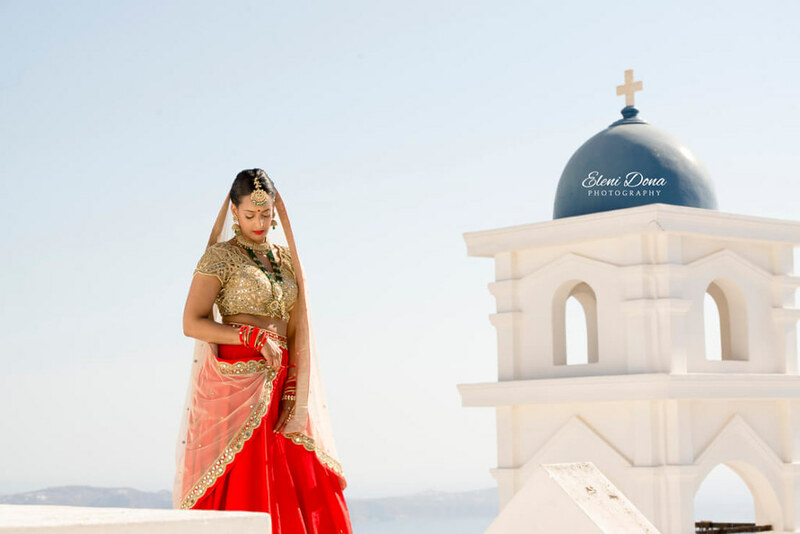 Bride and groom got ready at Cavo Ventus Villa, a luxurious and picturesque venue, built around an old stone windmill in Akrotiri area, Santorini. The couple got prepared together, a fact that enhances all the emotions and of course the fun. Ruby was glowing in her simple yet impressive wedding gown. Oliver was relaxed and tranquil wearing his white suit and waiting for his bride-to-be. Both the wedding ceremony and the wedding reception took place at Cavo Ventus Villa. This extraordinary venue was the perfect backdrop for a chic and romantic wedding, as Oliver and Ruby wished. Not having to move from one place to another, enhanced the relaxing atmosphere and the serenity of each moment. The loving couple sealed their love and promised eternal love, loyalty, and support in front of family and beloved friends, and of course with an outstanding view to the Aegean Sea. The summer breeze, the warm sunlight, the exquisite scent of the flowers, the strong emotions made this Lebanese wedding in Greece impossible to forget. The reception was so much fun. Bride and Groom danced and laughed with their loved ones. They had a wonderful time in a most romantic venue. The light of the romantic lanterns brought up all the blissful feelings. After the couple swayed to the music, they let loose and had fun along with all the guests. Majestic fireworks sealed Oliver and Ruby’s wedding in Santorini, with the most imposing way. The couple wanted a simple and sick wedding. “Wedding in Greece” team focuses on every couples’ wishes, so Oliver and Ruby were not an exception. The décor style was elegant with a vintage sense. White, peach and light blue shades were chosen to create cozy and chic vibes. The ceremony was naturally lighted by the Greek bright sunlight, yet the ceremony was illuminated by rustic lanterns and candles. The wedding table decorations were also simple and lovely, with flower combinations in matching colors. 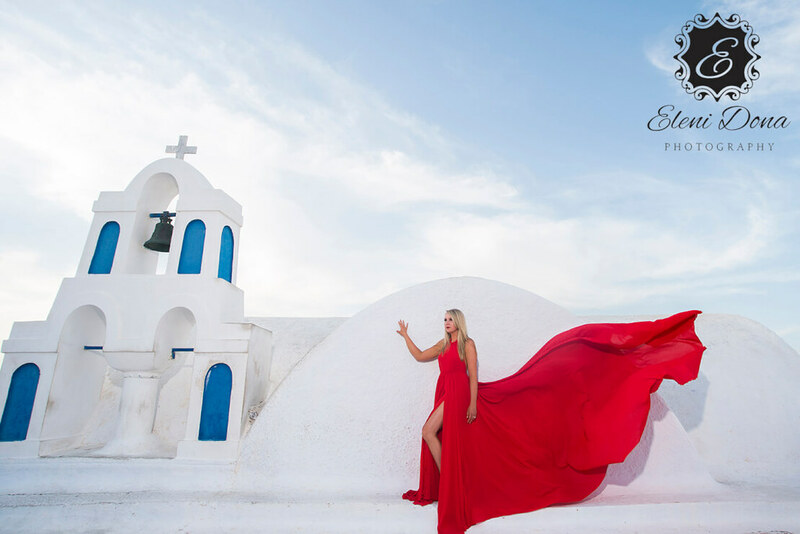 Eleni Dona, a professional wedding photographer in Greece, was pleased to capture every moment and take some incredible, heartwarming shots, with the Mediterranean sun being the ideal “assistant”. Seems like there is no better background than the tremendous cliffs of the Caldera and the golden light of the unique sunset. 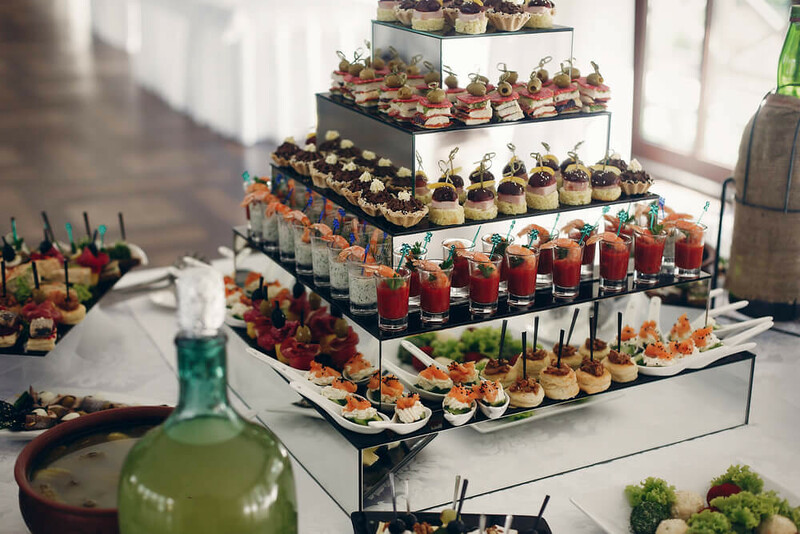 “Wedding in Greece” took care of even the smallest detail, aiming to the best results. 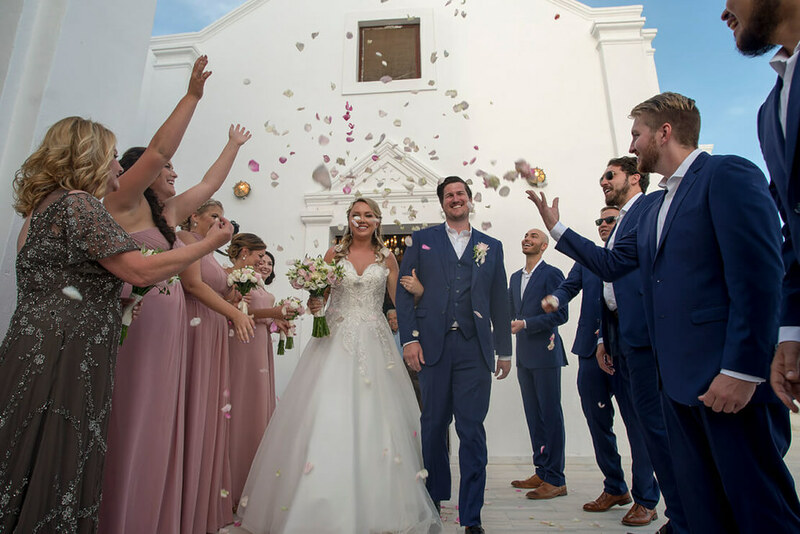 Oliver and Ruby had an unforgettable wedding in Santorini, Greece, without being stressed or feeling overwhelmed. They truly enjoyed their once-in-a-lifetime wedding day in the most stunning wedding destination. Oliver and Ruby, we wish you joy and happiness! It was our pleasure to work with you. 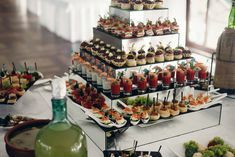 Click here to contact Wedding in Greece planning team and start planning your wedding in Santorini, Greece.